I love to bake in the fall. 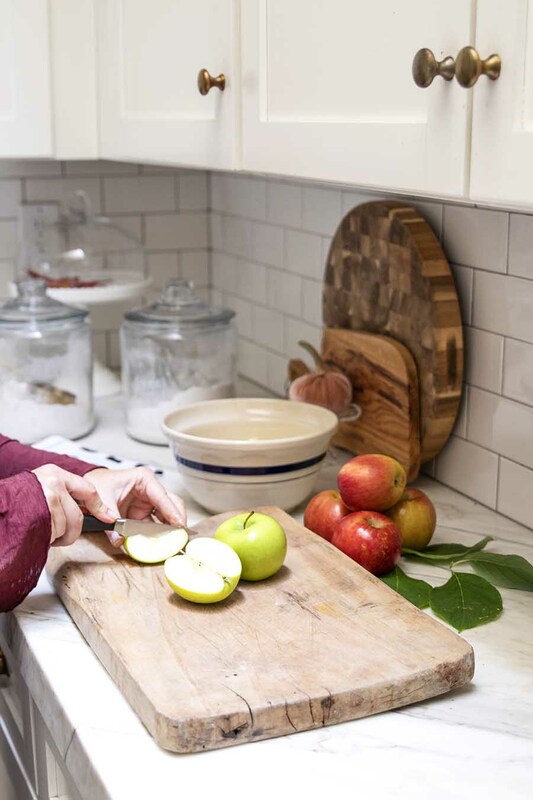 And there’s nothing better than filling the kitchen with the smell of spices and baked apples! 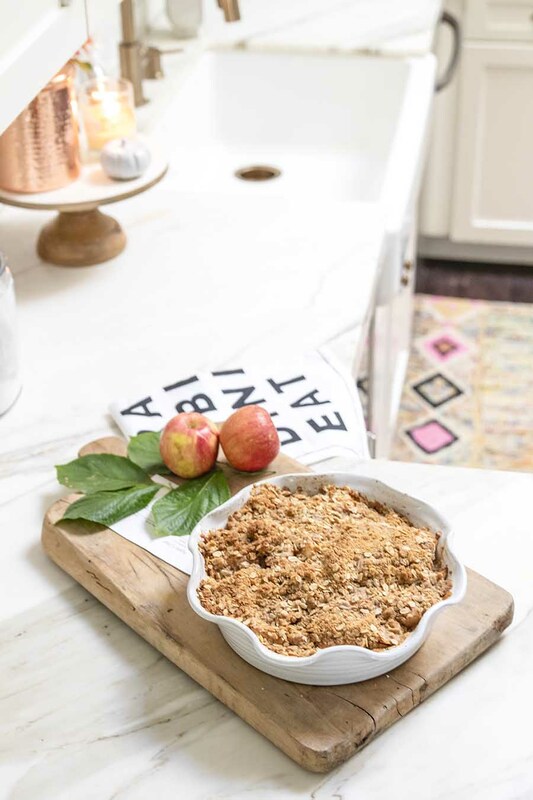 This Old Fashioned Apple Crisp Recipe is a tried and true favorite that my mom made for us weekly growing up. My kids love it when I make this too! 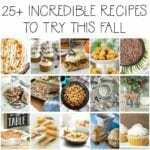 I’m joining over 25 bloggers today in sharing our favorite Fall recipes! 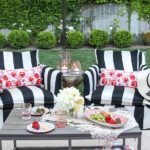 Be sure to see all the yummy ideas linked at the bottom of this post! When I was in college, my mom gave all of girls (there are 3 of us) a bound cookbook filled with our family’s favorite recipes. 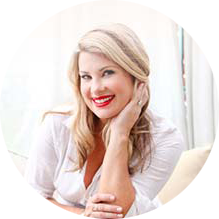 We all use this religiously as we now make these meals and desserts for our own families. 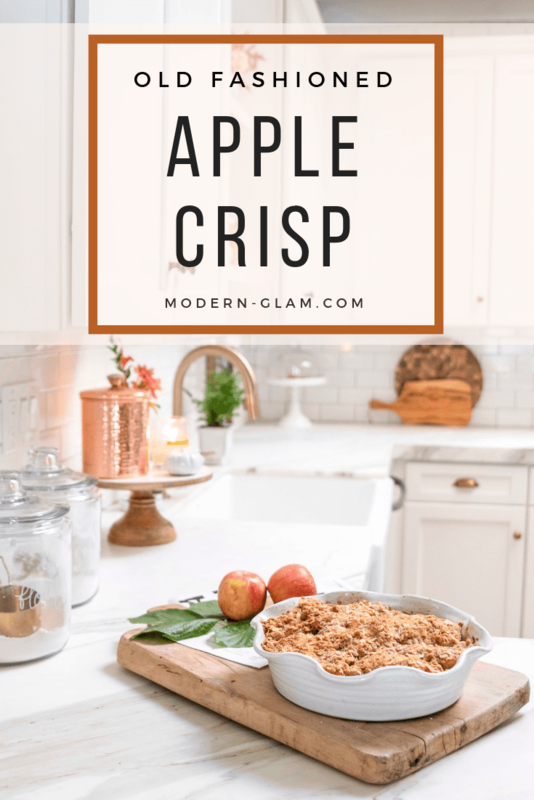 By far, my favorite of all of the recipes is this Old Fashioned Apple Crisp Recipe. 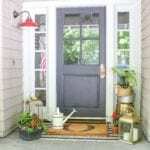 It is simple, easy and the prep comes together in a matter of minutes. 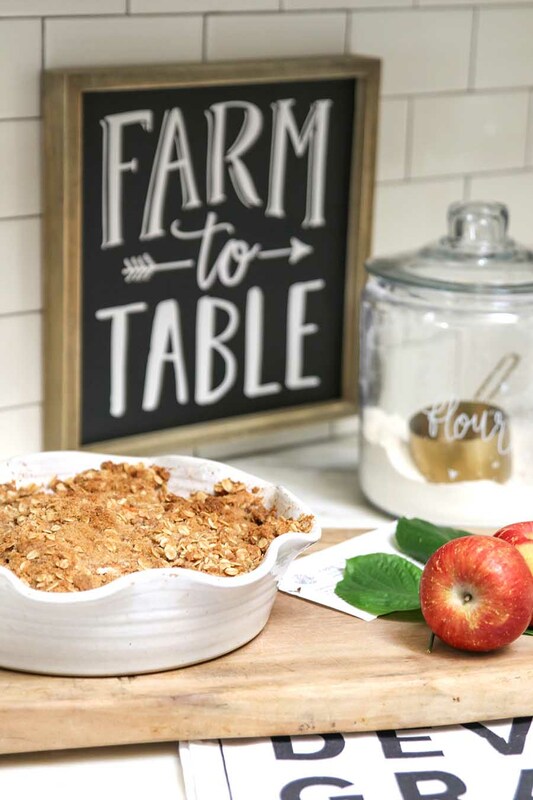 The ingredients are always on hand (as long as you stock fresh apples) and is perfect for breakfast, lunch and dinner, lol! I hope you enjoy this simple and easy fall recipe as much as we do! Core, peel and cut apples in thin slices. Make the pieces pretty uniform in size to make sure they all cook at the same time. 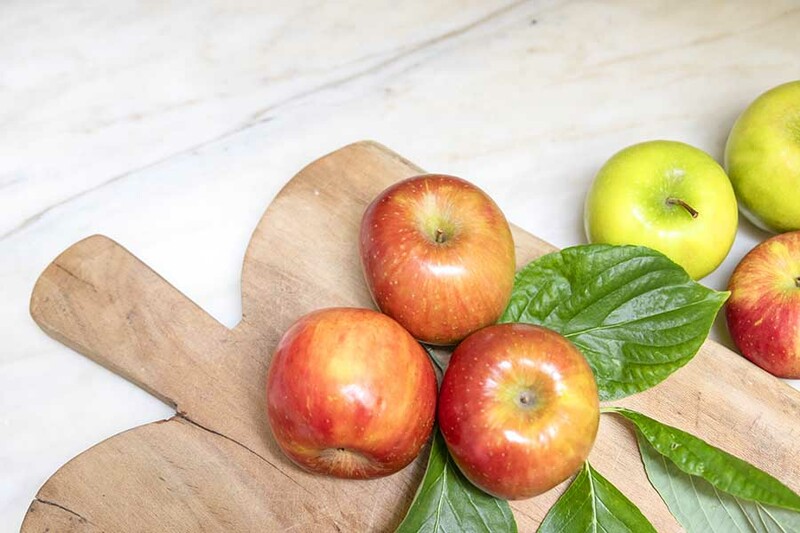 Place the cut apple pieces into the bottom of a baking dish. 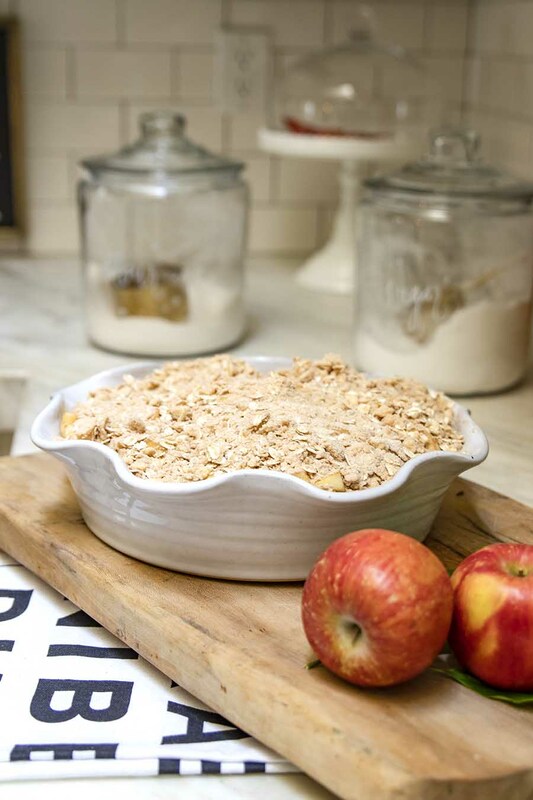 You can use a pie dish or a 8×8 baking dish. 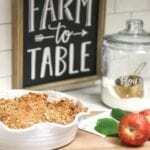 I often get asked which apples to use to make this Old Fashioned Apple Crisp recipe. 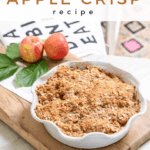 You can use a variety of apples for this recipe. I like to use Granny Smith and Fuji varieties. By using a variety, it makes the texture interesting and the flavors more complex. Mix topping ingredients together and cut the butter in using 2 knives to mix in (or a pastry blender). Don’t over mix, but make sure the pieces are about the size of peas. Pour the topping over the apples and bake at 375 degrees for 35-40 minutes. 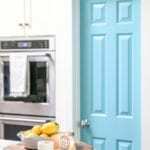 I love baking and I also love to use great products. 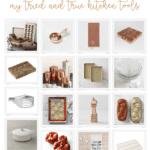 I have linked up a few of my favorite kitchen products and tools for you! Thank you for stopping by! 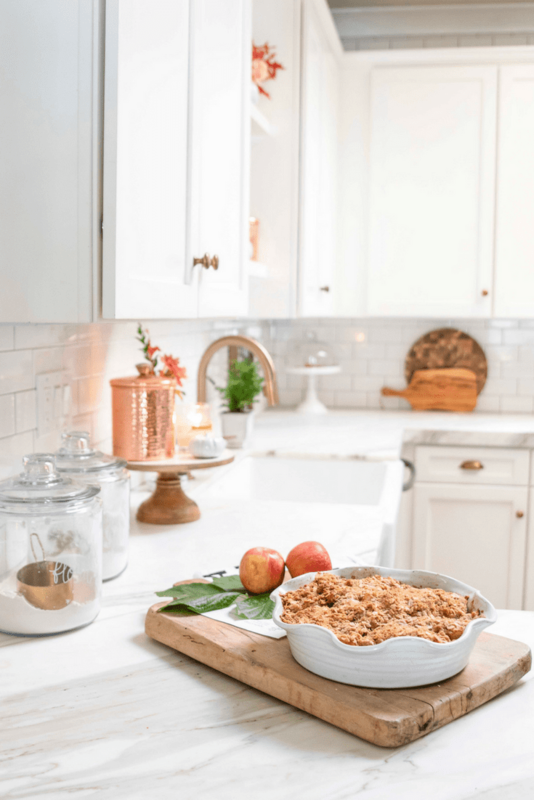 Be sure to check out all the other amazing Fall Recipes linked up for this week’s Seasonal Simplicity Tour! Core, peel and cut apples in thin slices. Put apples in bottom of 8x8 baking dish. Mix topping ingredients together. Cut the butter in using 2 knives or a pastry blender. Add topping to dish with apples. Bake at 375 F degrees for 35-40 minutes until bubbling. Cool for 10 minutes and serve with vanilla ice cream! 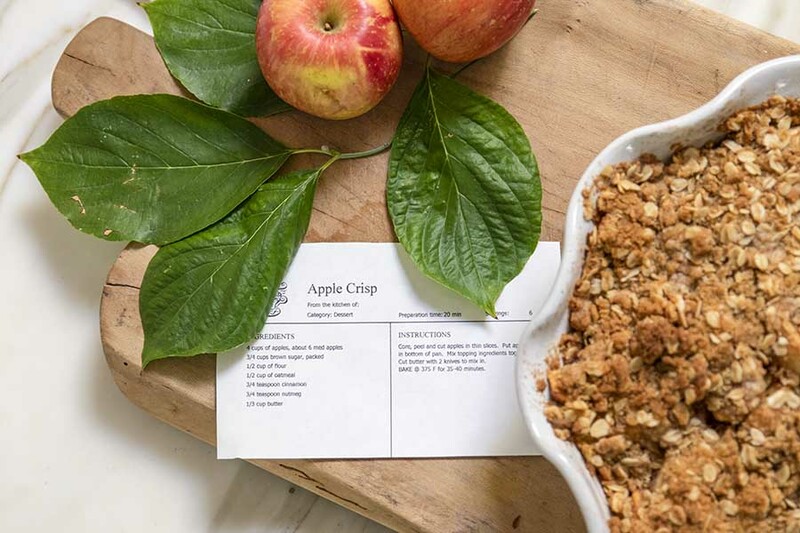 You can’t go wromg with a classic apple crisp. 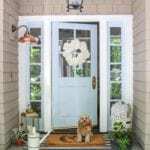 Thanks for sharing and being a part of the blog hop Ashley.